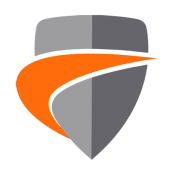 SonicWall Capture Client - powered by a next-generation malware protection engine by SentinelOne. Licence SonicWall Capture Client to a Client Distribution group to use on it's own or, to take full advantage of the Capture Client features including enforcement of DPI-SSL and SentinelOne, run alongside your SonicWall UTM appliance. Capture Client comes in 1, 2 and 3 year durations and in Basic and Advanced packages. Prices stated are per user. Delivers all SonicWall next-generation malware protection and remediation features, plus DPI-SSL support capabilities. Complete integration with SonicWall next-generation firewalls. Delivers everything listed for Basic, plus advanced rollback capabilities and Capture ATP integration. Comparative features and statistics of the SonicWall Capture Client. Click the to remove a unit and select from the list on the right to add another. Capture Client Supported Windows Versions A technical guide written by our Senior Network Security Engineer.